Jemar (B.A. Notre Dame; Mdiv RTS Jackson) is the president of The Witness: A Black Christian Collective where he writes about race, religion, and culture. He is also the co-host of “Pass The Mic”, a podcast that amplifies dynamic voices for a diverse church. His writing has been featured in the The Atlantic, the Washington Post, CNN, Vox, and the New York Times. He has spoken nation-wide at conferences on racial justice, U.S. history, and the church. He is the author of The Color of Compromise: The Truth About the American Church’s Complicity in Racism. Jemar is a PhD candidate in History at the University of Mississippi studying race, religion and social movements in the 20th century. Follow him on Twitter @JemarTisby. 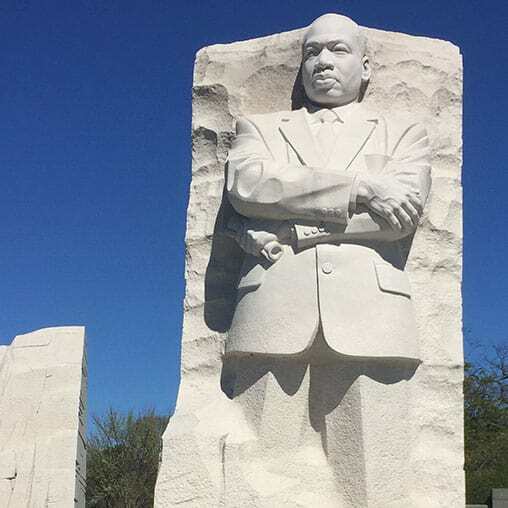 Jemar Tisby talks about how the Lord prepared Dr. King to be the right person at the right time to be the figurehead for the Civil Rights movement in the 1960’s.